Made from glass fiber: Ultralight & great intensity. Easy to assemble. Equipped with rubber damper: AV shockproof ball, high quality and strong ability of shock absorption. 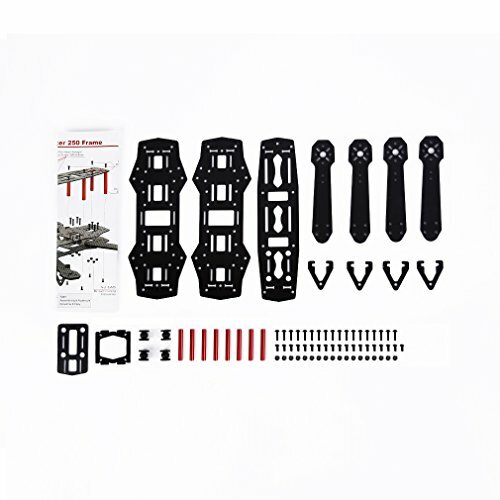 The fuselage mode of aluminum alloy column connection, easy to be modified, guaranteeing the flying ability of the Quadcopter.